New Jersey attorney assisting individuals with tax debt in resolving disputes with the Internal Revenue Service or New Jersey Division of Taxation. Do you owe back taxes? Have you failed to file tax returns? Have you received a letter from the Internal Revenue Service about plans to levy on your property? Are you being audited? Have you willfully failed to pay taxes, understated your income, or willfully failed to remit trust fund taxes, such as sales or employment taxes? You are not alone. First, these are common problems that numerous taxpayers face every day. Additionally, these problems all have solutions, and James S. Friedman, LLC, can help you find them. The Offer-in-Compromise or "OIC" is a process that allows taxpayers to resolve significant tax indebtedness by paying only a portion of their tax debt. It is, in effect, a settlement with the IRS. In essence, the taxpayer offers to pay a portion of the outstanding tax debt. The taxpayer's income and assets determine the amount of the offer, or proposed payments. The OIC process is somewhat complex because it involves, among other things, providing the IRS with a substantial amount of information concerning the taxpayer's financial condition. The taxpayer, or their representative, must complete a detailed financial questionnaire and, where applicable, provide supporting documentation. An active or recent bankruptcy case. Taxpayers may qualify for an OIC if none of the above disqualifiers apply, and if the taxpayer's disposable income is less than the tax debt. Taxpayers must remember that the IRS has very specific guidelines for determining who qualifies for an OIC, as well as the amount of an acceptable offer. OICs have changed over the years. Under the prior OIC program, the IRS used 48 months of disposable income to calculate the required offer amount. Thus, a taxpayer with monthly disposable income of $1,000.00 after allowable expenses would have to offer $48,000.00 to settle a tax debt. The current OIC program uses 12 months of disposable income to calculate the required offer amount. Accordingly, a taxpayer with $1,000.00 of disposable income after allowable expenses would have to offer $12,000.00 to settle a tax debt. The IRS does not accept every OIC, but the acceptance rates have risen. Previously, a taxpayer's chances of having the IRS accept their OIC was approximately 20 to 25 percent. However, the IRS has recently reported that the current acceptance rate is approximately 42 percent. The OIC process takes considerable time to complete. The processing time on an OIC can take four to six months. It can take the IRS that long just to assign your matter to an investigator. The investigation can then take three to six months. If the offer is rejected, the appeal can take four to six months. If the offer is accepted and the outstanding tax debt exceeds a certain amount, the offer has to be reviewed and approved by IRS counsel, which can take two to three months. Assuming the taxpayer clears all of these hurdles, the payment period, which can be 24 months absent pre-payment, will commence. Finally, acceptance of an OIC places the taxpayer on tax probation for five years. If the taxpayer generates a new tax liability during that five-year period, they lose the benefits of the OIC and become liable for the entire tax debt. The best way to understand the PPIA process is to compare and contrast it with OICs. The IRS has a 10-year limitations period to collect a tax debt. This period commences when the IRS first determines that the taxpayer has an outstanding tax debt. This can be when tax returns are filed, upon completion of an audit, or when the IRS files a Substitute for Return for a taxpayer that failed to file a tax return. A PPIA allows a taxpayer to pay what they can afford over the remaining time of the limitations period. Put somewhat differently, the PPIA period lasts as long as the IRS has to collect the taxpayer's debt. Thus, the IRS's ability to collect the balance will be cut off by the expiration of the limitations period, and the taxpayer will not be liable for the remaining sums. In sharp contrast, the OIC process tolls the collections limitation period. Thus, if the taxpayer cannot comply with the terms and conditions of the OIC, the IRS will still have the full amount of time remaining on the limitations period to collect the tax debt if the taxpayer defaults on the OIC. Further, and generally speaking, the PPIA does not have the above-noted time lapses that exist with an OIC. As a rule, the IRS accepts PPIAs more quickly than OICs. They are much less formal settlement agreements. However, the IRS can review the taxpayer's PPIA every two years to determine whether the payments can be increased. This can involve submitting a new financial statement to the IRS showing then-current income and expenses. The foregoing discussion is extremely general, and based upon current IRS regulations and procedures which change frequently. Additionally, every taxpayer's situation is different, and must be reviewed and considered as unique. One size does not fit all. James S. Friedman, LLC, works with clients who need relief from tax debt to get a fresh start. Where necessary, the firm has access to a team of other tax professionals, including accountants trained specifically in this area, to assist clients in resolving tax issues and moving on with their personal or business lives. 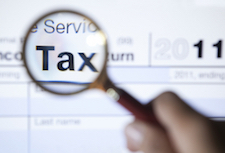 Do you have a personal or business tax problem? Contact James S. Friedman, LLC to start planning your tax solutions.